Ducan Tufdek Tufdek Step 3. The third step in the Tufdek System. Provides the colour and the U.V. protection. Tufdek Step 3 Colour Coat is the third step in the Tufdek System. Applied with a 10 mil roller, this is the U.V. protection and colour for the Tufdek System. Tufdek Warranty: A limited warranty is made in lieu of all other warranties, express or implied. CIL WoodCare Ultra Premium Exterior Solid 100% Acrylic Latex/Oil Hybrid Stain provides maximum protection and beatifies all types of wood while preserving the natural texture with rich sold colour CIL's 100% Acrylic Latex/Oil Hybrid Stain is specially formulated with unique technologies to offer the best defence against all Canadian climates. CIL Woodcare Ultra Premium Exterior Solid 100% Acrylic Latex/Oil Hybrid Stain provides maximum protection and beautifies all types of wood while preserving the natural texture with rich solid colour. CIL's 100% Acrylic Latex/Oil Hybrid Stain is specially formulated with unique technologies to offer the best defence against all Canadian climates. Tufdek Step 3. The third step in the Tufdek System. Provides the colour and the U.V. protection. 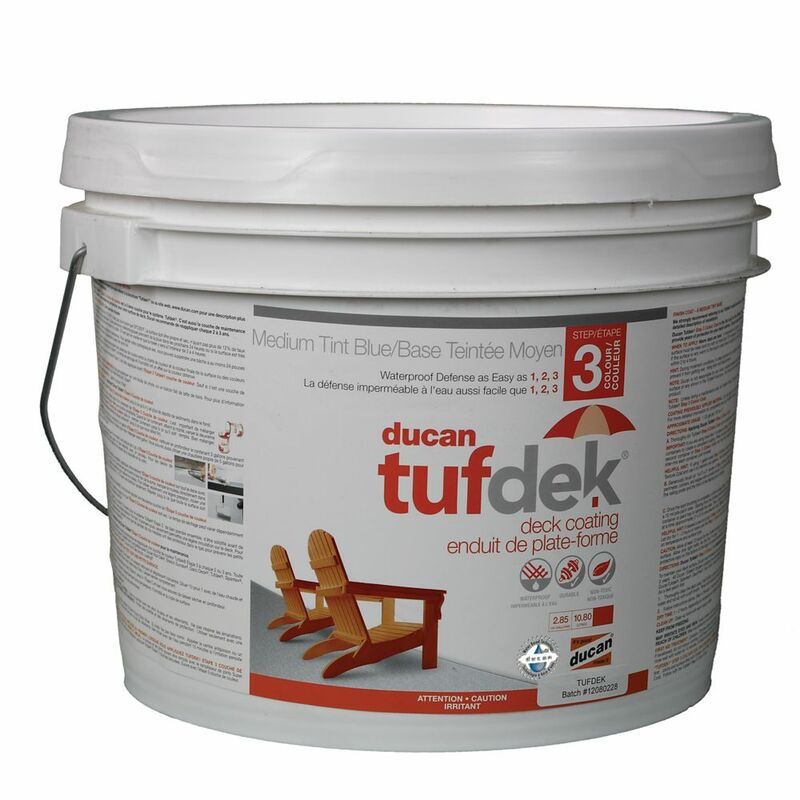 Tufdek Step 3 Colour Coat is the third step in the Tufdek System. Applied with a 10 mil roller, this is the U.V. protection and colour for the Tufdek System.